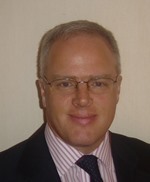 Professor Keith G Oldroyd MBChB; MD(Hons); FRCP(Glasg); FSCAI is a Consultant Interventional Cardiologist at the West of Scotland Regional Heart and Lung Centre in the Golden Jubilee National Hospital. He holds a personal chair within the Institute of Cardiovascular and Medical Sciences, University of Glasgow. He qualified in medicine from the University of Aberdeen in 1982. Following clinical training in Glasgow he was awarded a BHF Clinical Research Fellowship and received his MD degree with Honours for work on the pathophysiological role of endogenous opioids in patients with coronary disease and heart failure. Subsequently he was a Fellow in Interventional Cardiology at the University of Toronto. From 1995-2002 he led the Interventional Cardiology Service at Hairmyres Hospital. In 2002 he moved to the Western Infirmary in Glasgow. In 2007 he became the first Clinical Director of Cardiology at the newly created West of Scotland Regional Heart and Lung Centre. From 2011-2014 he was also Director of R&D and currently he leads on CV research for NHS Scotland. His own research interests include the clinical and experimental assessment of novel drug eluting stents and the use of invasive physiological indices of stenosis severity to guide decision making in the cath lab. He has been a principal investigator in several international trials including FAME, FAME 2, PRAMI and LEADERS FREE, all of which have been published in the New England Journal of Medicine. Currently he is the UK principal investigator for several studies including two trials of stem cell therapy in acute myocardial infarction.